KANSAS CITY, Mo. 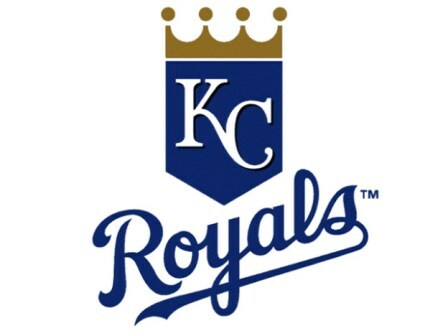 (March 28, 2019) – The Kansas City Royals announced several moves today, finalizing their roster for Opening Day. The Royals have placed left-handed pitchers Danny Duffy (left shoulder impingement syndrome) and Brian Flynn (left UCL sprain) on the 10-day injured list, retroactive to March 25. Right-handed pitcher Trevor Oaks (recovery from right hip surgery) has been placed on the 60-day IL. The club has selected infielder Frank Schwindel from Omaha, placing him on the Major League roster for the first time. 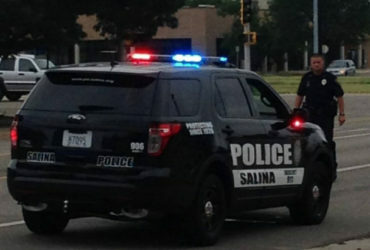 The Royals have also reassigned right-handed pitchers Homer Bailey and Michael Ynoa, catcher Nick Dini, infielders Humberto Arteaga and Cheslor Cuthbert and infielder/outfielder Erick Mejia to the minor leagues. 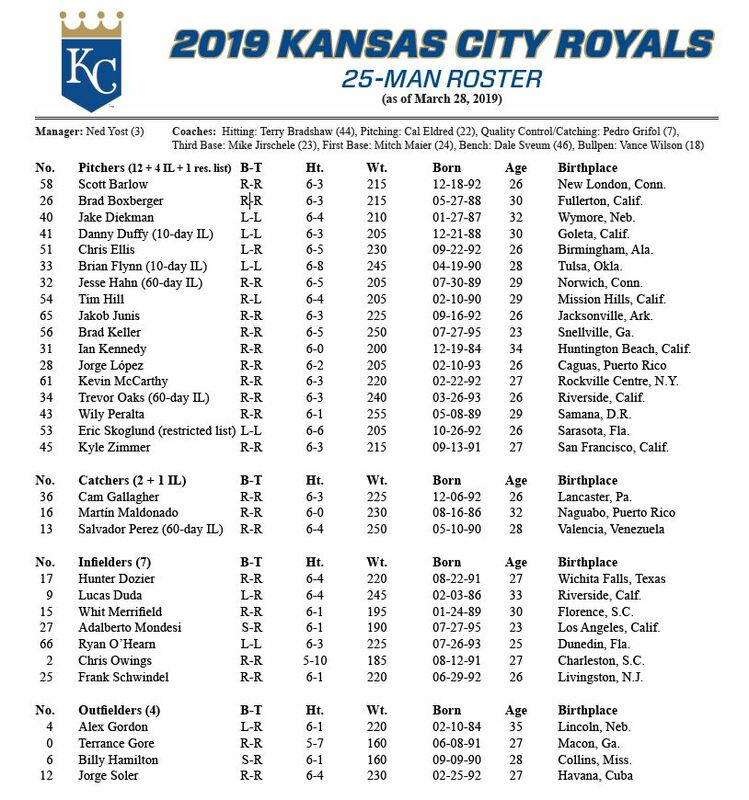 Along with Schwindel, pitchers Scott Barlow, Chris Ellis, Jorge López, Kevin McCarthy and Kyle Zimmer as well as infielders Hunter Dozier and Ryan O’Hearn are on the Opening Day roster for the first time.